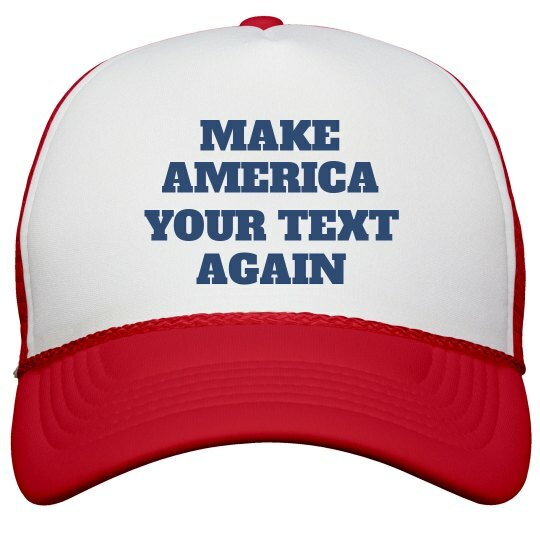 Lighten up the political mood with this funny "Make American [your text] Again" hat. Customize it with a line of text of your choice to give it a personal feel. Make America FUNNY again!